I got the pleasure of lifting @Caroline for the LTPAY challenge. Your gallery is so inspiring, Caroline, and I have a lot of ideas swirling through my head that I still want to put to paper based on your designs. 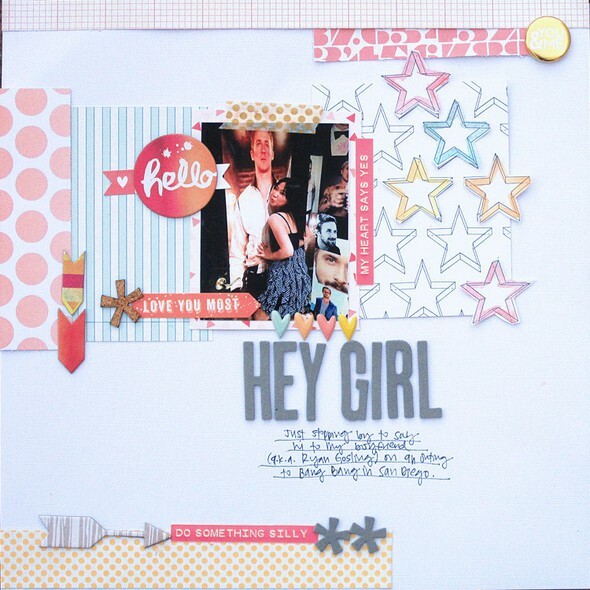 :) This page took inspiration from Caroline's "Hey, Girl" layout, especially the watercoloring, layering, journaling block, and edge borders. Oh! And asterisks and arrows. I retired my Spencer's kit with this one. Didn't kill it, but broke it apart and filed it. GREAT kit.